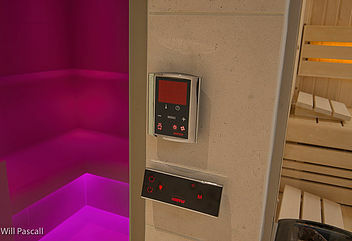 Steam Rooms for home use, hotels and leisure clubs are our specialty. 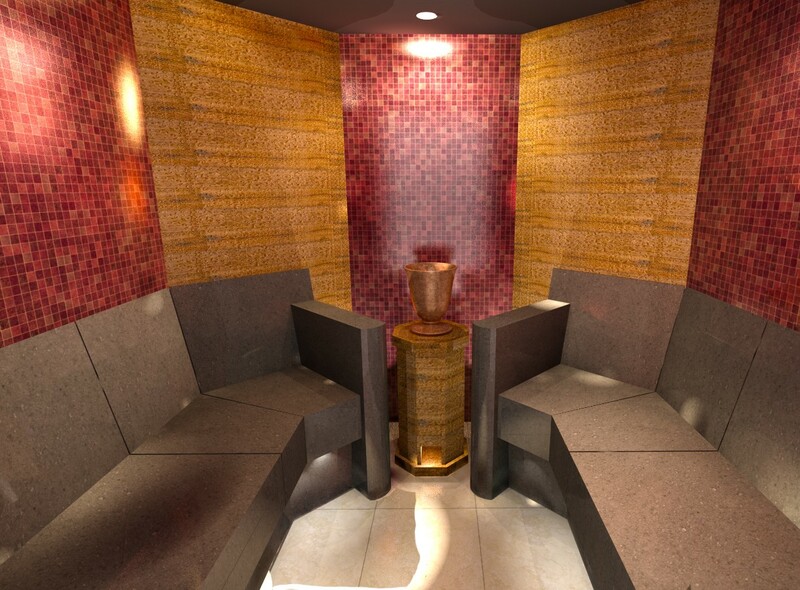 At mr sauna we know that the dry heat of sauna is not for everyone and some people prefer the gentler heat and humidity of the steam room. 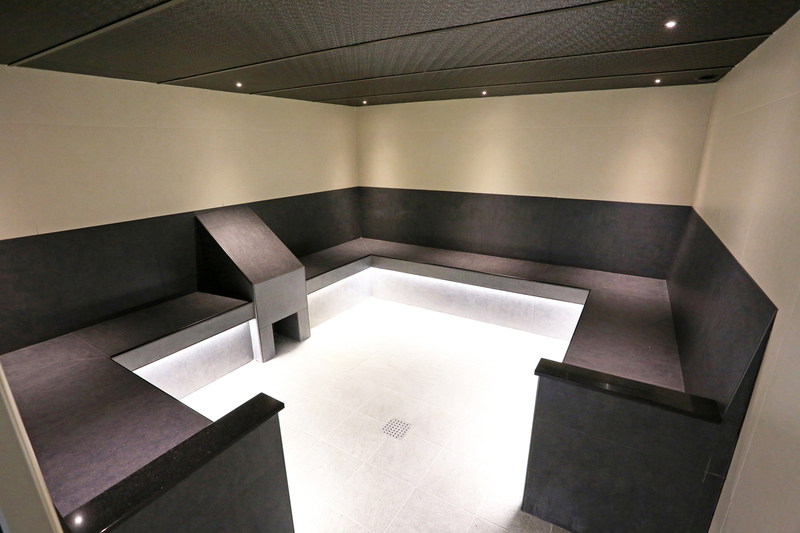 Steam rooms are normally heated to around 45 degrees centigrade but feel hotter due to the 100% humidity created by the steam. 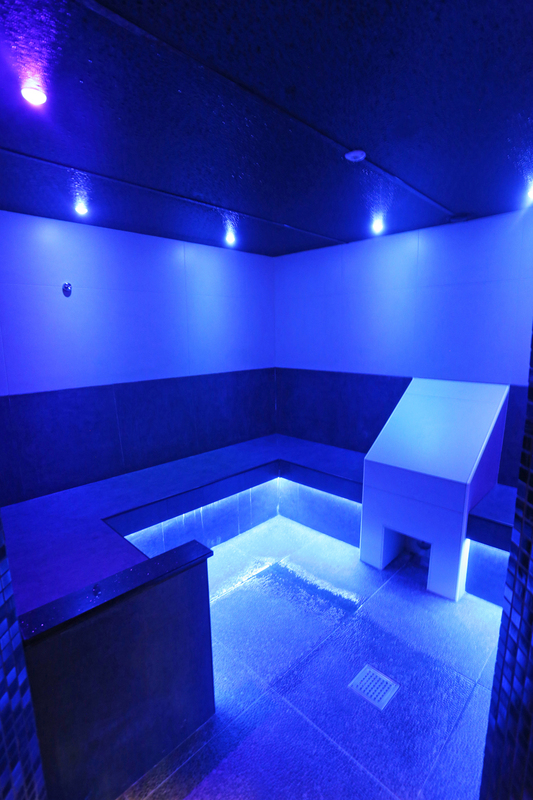 Steam bathing is excellent for bronchial complaints, particularly when essences such as menthol and eucalyptus are added, or even salt solution. 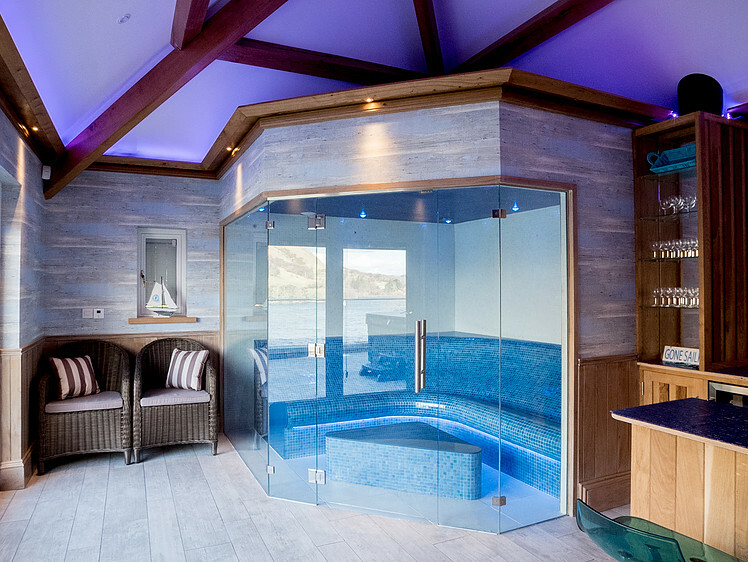 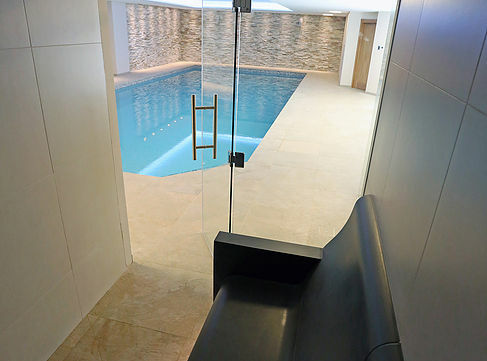 Our steam rooms are made to fit even the most challenging of room shapes, and to any size. 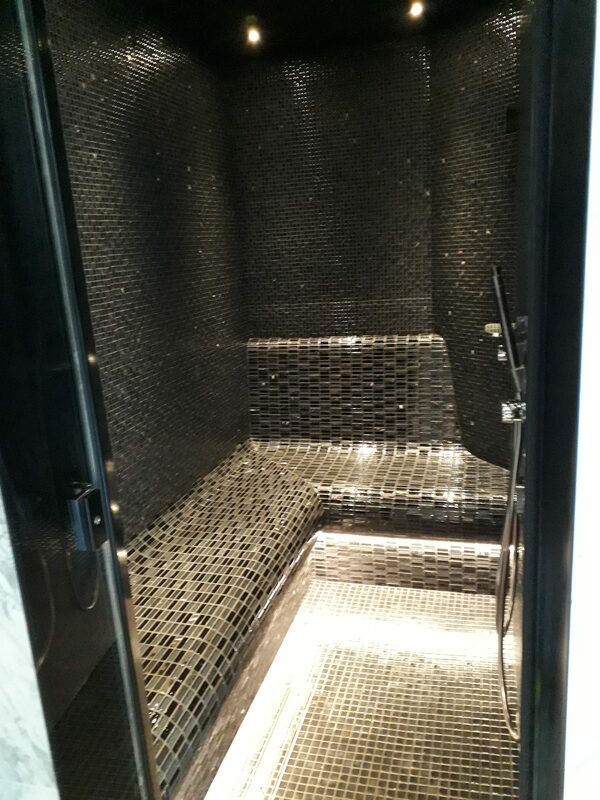 You can also make your own tile choices to truly personalise your steam room, add fibre optic lighting, LED under bench lighting, sound systems and even shower options. 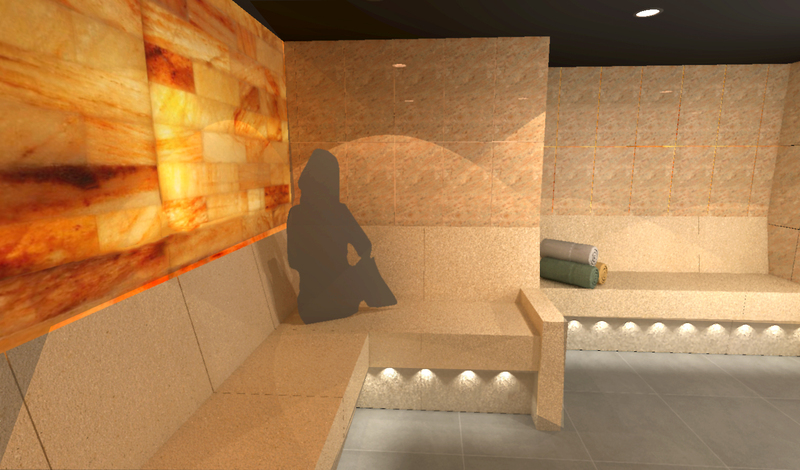 Why not add colour changing fibre optic or LED lighting to enhance the mood ? 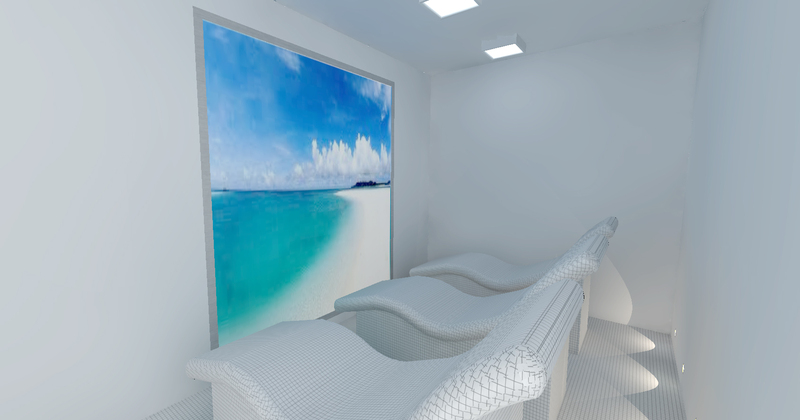 Colour can change your mood, blue, violet and green are calming and soothing, red orange and yellow will give you a burst of energy when needed.